Brett teaches a variety of lesson styles via a number of settings and media environments, such as Skype, FaceTime, and Facebook lessons, private lessons, group lessons, and more. 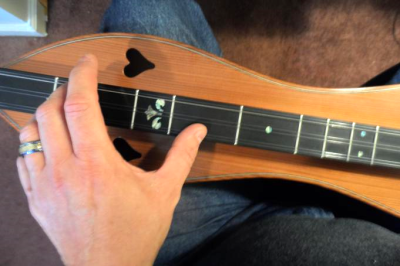 He teaches Hammered Dulcimer, Mountain Dulcimer, Clawhammer, Minstrel, and Bluegrass Banjo, Acoustic Guitar, Mandolin, Bowed Psaltery, and a few others...just ask! If you, your club, organization, or school would be interested in group lessons or forming a String Band Club, please contact Brett for more information. A great tune, easy to learn! They say there are 147 verses to this old tune. In this video lesson for the traditional Irish tune Planxty Irwin, you will learn not only the simple melody line, but also the chords, chord shapes, arpeggios, techniques, and embellishments that can elevate your playing to a performance-ready piece! In this video lesson for the traditional Irish tune The Salley Garden, you will learn not only the simple melody line, but also general chords up and down the fretboard as well as movable chords up and down the fretboard. This lesson is suitable for all players at any skill level. Another great traditional tune in Double C tuning. A nice "old-timey" tune with lots of easy embellishment choices. A fun tune that will have you playing up, down, and across your fretboard. Not hard, but a nice workout!